Casey had her girlfriends spend a night in Sea Isle City over Memorial Day weekend, hanging out in the house and then spending a "night on the town". Somewhere in and around there some of the girls also went to Melissa's house for a "girls night". Note: To see more photos of Casey at the shore, go to the Shore gallery>.
" i hate kings and the stupid rule that if you break the rules you have to put your chin on the table for the rest of the game!" 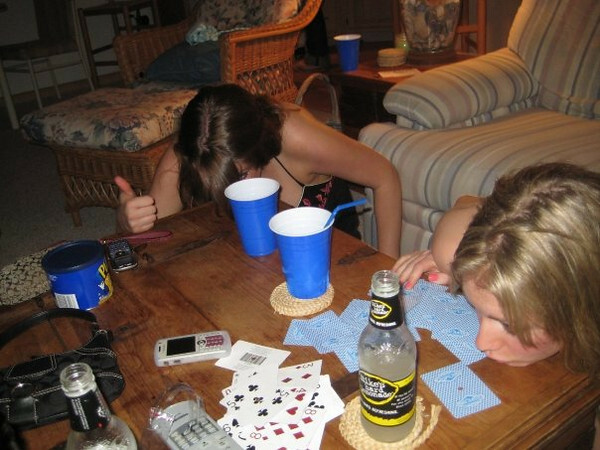 Victoria Schneider and Casey playing a game of kings at the sea isle shore house.